Long-time experience in the metal scene along with youthful enthusiasm is combined amongst the ranks of Estonian DECEITOME. The band offers a brand of death metal, created in the best traditions of the Swedish death metal school. Minimal influences from the other side of the Atlantic Ocean are felt with some modern trends and riffs. Thus DECEITOME sounds truly massive, rough, but absolutely solid. 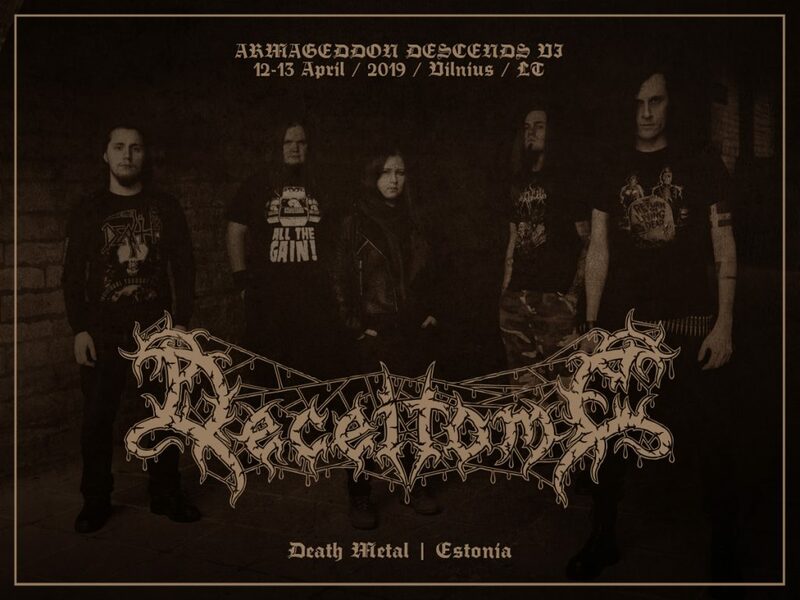 Though the band has released only one studio album so far – the critically acclaimed “Death is Called Ethos” -, the true potential of these Estonians is conveyed through their live performances.